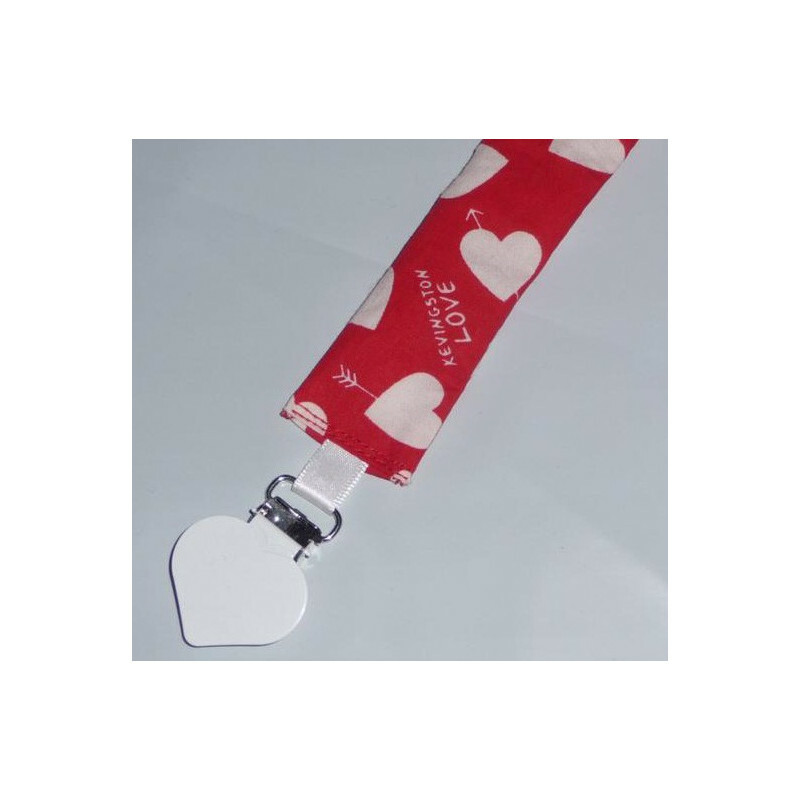 Indispensable, the pacifier clip with its heart-shaped white metal clip, attaches to the baby's clothes. 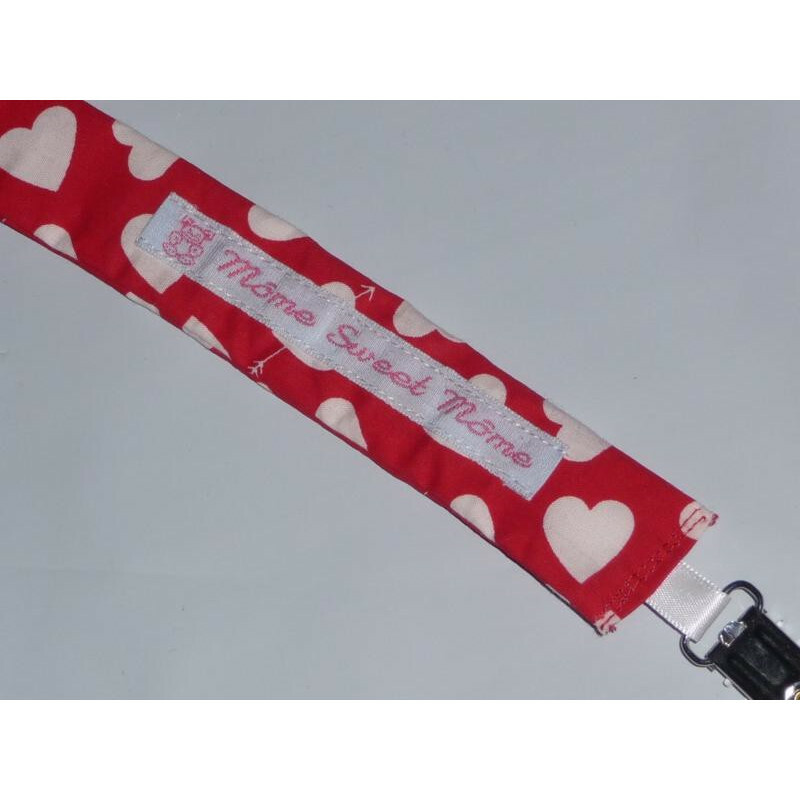 Made of a red satin ribbon to attach the pacifier. 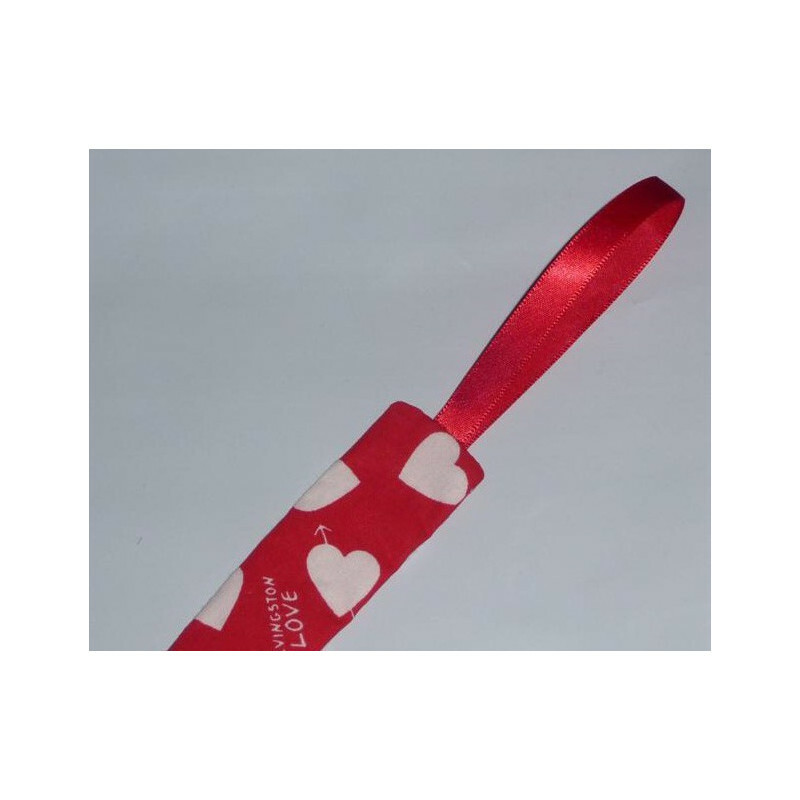 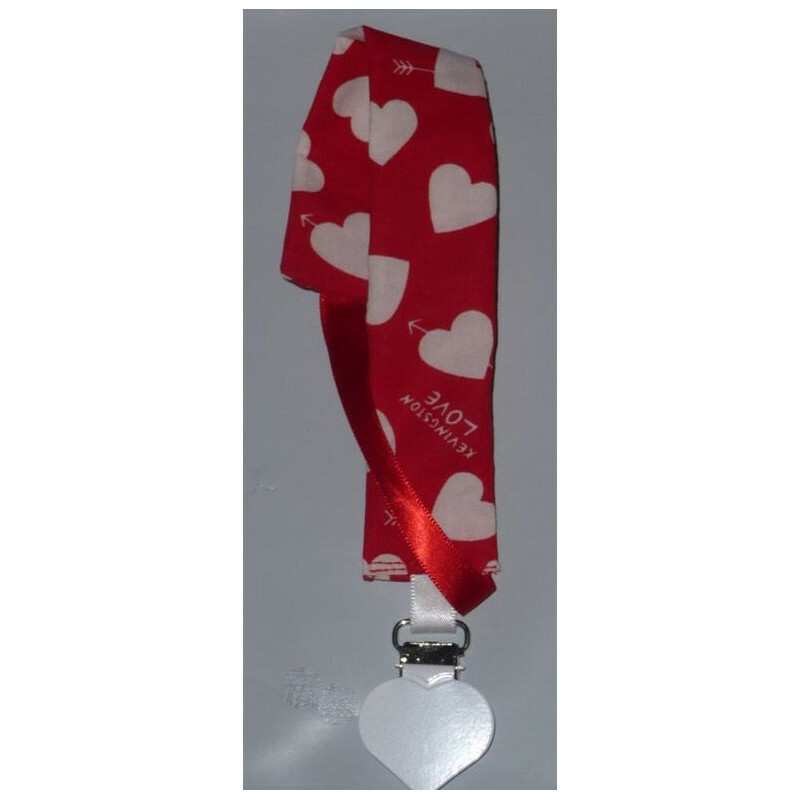 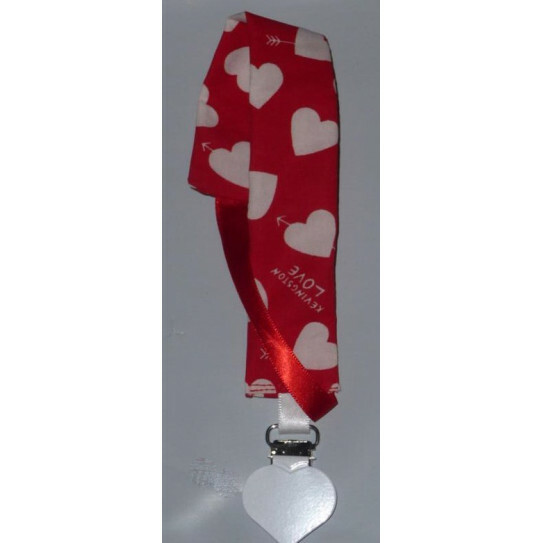 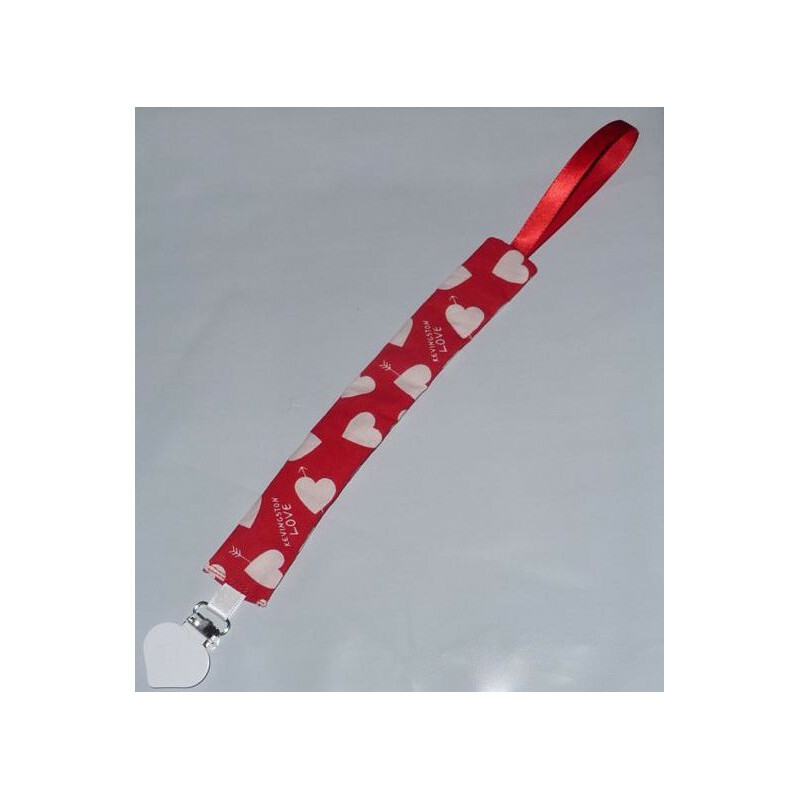 MATERIAL : 100% cotton / Ribbon: 100% satin / Clip: heart-shaped metal.